Status as an American citizen, legal permanent resident, and other circumstances can result in a tax obligation to the United States government. Individuals who are confused about their status should never wait to see how things play out. Rather, they should investigate diligently to determine their status and whether any tax obligation is owed to the U.S. government. Addressing concerns of this type up-front and before they have time to fester is essential in catching the issue before it becomes a major tax problem. However, the question remains how exactly does one become an accidental American citizen? In truth, there are a number of ways one can find themselves in these circumstances, but there are certain archetypal situations where such a mistake is more likely to occur. How can a Person Become or Fail to Realize That They are an American Citizen? In the United States, we have what is known as birthright citizenship, meaning that people born in the United States automatically receive citizenship. In some cases individuals are born here, but they return to the country of their parents’ citizenship immediately thereafter, and may not learn until many years later that they are U.S. citizens. In some cases, due to personal or financial circumstances one may decide that he no longer wishes to be an American. For instance, in one letter written by expatriates to President Obama, a couple described their unexpected relocation from the United States to Toronto, Canada. While the couple always intended to remain U.S. citizens, the wife’s profession as a lawyer required her to also become a Canadian citizen and pass the Ontario bar exam. Forty-three years came and went and the couple was still living in Canada with their daughter and holding both U.S. and Canadian passports. However, the couple writes that due to the U.S. government’s manner of handling taxes which includes FBAR and FATCA disclosure obligations they, “feel like second class citizens at best, or criminals at worst.” She recounts the numerous filing obligations that makes her feel guilty until she can prove her innocence. Furthermore, she discusses the tax disadvantages expatriates face including the United States’ government’s near-punitive handling of Canadian mutual funds since Americans living in the U.S. pay 15 percent on domestic capital gains while Americans living in Canada pay taxes at 38 percent on a similar investment. IRC section 6039G of the Health Insurance Portability and Accountability Act (HIPAA) of 1996 requires the IRS to publish a list of U.S. citizens who have chosen to voluntarily surrender their citizenship and expatriate. While some believe that the list is likely less than comprehensive, it does provide a relatively accurate window into the effect America’s global tax laws are having on the desirability of citizenship and its obligations. In 2014, the number of reported expatriations reach 3,1415 – the highest yearly total since the statistic has been tracked. During the first quarter of 2015, 1,335 people expatriated putting 2015 on pace to surpass 2014’s record total. How can an Expatriate Satisfy Their Tax Obligations? Expatriates always have the opportunity to comply with FACTA, FBAR, and all other tax filing and payment obligations. However, for some citizens such an approach may become particularly cumbersome and costly. For some, maintaining a connection to the United States may no longer be viable. However, those who wish to renounce their citizenship should not do so lightly. Renouncing your citizenship may relieve you of your U.S. tax obligations, but it is not a “get out of jail free” card for past tax problems. Furthermore, the loss of U.S. citizenship also means that you will no longer be able to enter and leave the United States as freely or take advantage of the benefits offered by citizenship. 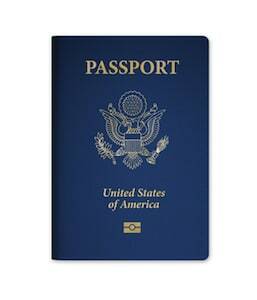 To begin with, to renounce citizenship there is a renunciation fee which is now set at $2,350. If you had foreign accounts that went undisclosed those obligations don’t go away, and civil penalties can significantly eat into the value of the account or consume its value entirely. Furthermore, U.S. citizens with an average net worth that exceeds $2 million or an average net income tax of $160,000 over the previous five years must also pay an exit tax. If you already have tax problems, relinquishing your citizenship may not be the most strategically or financially sound decision. Streamlined compliance programs and Offshore Voluntary compliance programs can permit taxpayers to mitigate the penalties they face while coming back into full compliance with the U.S. Tax Code. If long-term liabilities and difficulties are likely to remain, then it may be appropriate to further discuss the benefits and drawbacks of relinquishing your citizenship. The experienced tax attorneys of the Brager tax Law Group can assist you in analyzing these problems and can present both short-term and long-term options to correct your past tax problems. To schedule a confidential legal consultation to discuss tax problems created by foreign accounts call our firm at 800-380-TAX-LITIGATOR today.